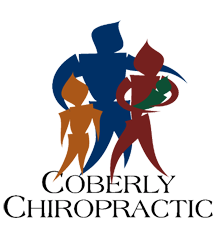 Four Key Ways Chiropractic Care Benefits the Whole Family – Coberly Chiropractic, Inc. When we think of chiropractic care, our minds automatically jump to treatment for work injuries, or issues stemming from aging. While spinal manipulations and other chiropractic treatment are highly valuable in those situations, they are not the beginning and ending of what chiropractic care can accomplish. Adults who embrace the benefits of a chiropractor should consider treatment for their entire family, as it can provide unique benefits to each member in terms of total wellness and quality of life. 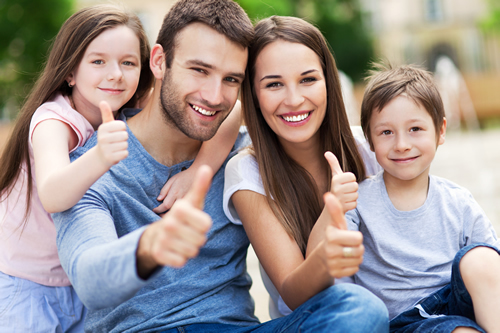 Here are four key ways chiropractic care benefits the whole family. The best way to treat an injury is to avoid an injury. It sounds simple, but many individuals don’t think of their health this way. By implementing a chiropractic regimen into each family member’s life, everyone’s spine is well-maintained and aligned, joints are looser, and necks are relaxed. For younger family members, this means sliding into third base won’t pull a muscle, studying for that exam won’t cause headaches, and taking out the trash won’t hurt their backs (even though they may still gripe about it). For the older family members, chiropractic treatment for prevention helps avoid workplace injuries, minimizes strains and sprains from gardening or other "weekend warrior" activities, and even aids in sleeping and stress relief. As mentioned above, chiropractic treatment helps keep joints loose, and the entire body functioning properly. Flexibility is key in performing physical activity, lessening growing pains, aging gracefully, and avoiding disease and injury. Spinal manipulation coupled with at-home exercises make it easy for each family member to be as limber as possible. A wide variety of health issues, from headaches and backaches, to immune diseases and digestive problems, can be addressed through chiropractic care. That’s because, instead of treating the symptoms of an issue, chiropractors aim toward the root cause of the problem. No matter what a person’s age, if they are dealing with issues caused by spinal misalignment or stiff muscles and joints, consulting with a chiropractor for treatment can speed up the healing process, decrease downtime, and lessen the chance of the issue recurring. Most individuals crave to perform at the highest level possible. Some examples are scoring well on a test, playing the best basketball game, driving safely, excelling at job duties, hiking a trail, and giving a speech. We all want to do our best and be successful. The holistic approach of chiropractic care helps us function at top performance. While pain takes the focus away from performing well, and drugs can cause fuzziness and loss of concentration, chiropractic treatments give relief without side effects. No matter a person’s age, chiropractic care helps his or her body be higher-functioning and ready for life’s challenges, regardless of the form they take. Chiropractic care benefits patients of a wide array of ages in a variety of ways. Family members should carefully consider the positive, long-lasting aspects of chiropractic treatment for themselves, their spouses, and children. A commitment to such treatment can decrease injury and performance issues, and increase flexibility, confidence, and success.